One day last week after my appointment I wished I could start off my day every day with a Spinal Network Analysis (NSA) entrainment session , just like brushing my teeth. Imagine what life would be like starting everyday with a minty scented sparkling smile and a resourceful spine. This week I went for it and booked appointments every day I could. I got 4 out 5 days. Since that’s how many dentists usually recommend any given toothpaste I figured I was still good. Day 1: I’m more resourceful when I cry? It had been 3 or 4 days since my last appointment. I was a mess. There’s something I’ve been needing to just let go of and grieve. But I’ve been trying to be brave about it. It was oozing out all over the place. Pretty much as soon as I got on the table the tears came. Thank goodness Dr. Peg keeps a tissue box under each table. I felt weak and foolish for crying. I should be over this thing by now. But Dr. Peg pointed out that my spine was finding more resources as I cried. So I let ‘er rip. Not banshee howling, but let the spring of sadness burble up. Half a box of tissues and some Dr. Peg magic later I got up from the table feeling like when the sun emerges after a spring rain. After the appointment I didn’t quite know what to do with myself. I didn’t want to be in any of my usual places. I went to a coffee shop I rarely go to and scribbled all the ideas about my business and my life that were flooding in. Day 2: Why didn’t I leave well enough alone? Now that I wasn’t distracted by all that grief a scared little critter darted across my awareness. The life of the independent consultant is one of constant uncertainty and shift. Lately some of my bread and butter accounts have been shifting. That’s pretty scary to that little critter who worries about being safe. But it wasn’t really strong. I could have ignored it and gone through my day. Instead I went to NSA. As I laid down on the table I was feeling pretty good. Not sure I really needed it again so soon. A few minutes later in the session that fear about being safe came to the surface. The thought went through my head. “I was good, why did I mess with things and open this up?” And by the end of the session I was feeling like I had resources to soothe that fear and address the issues that were feeding that fear. By the end of the day a deeper confidence and certainty was starting to feel like my new normal. 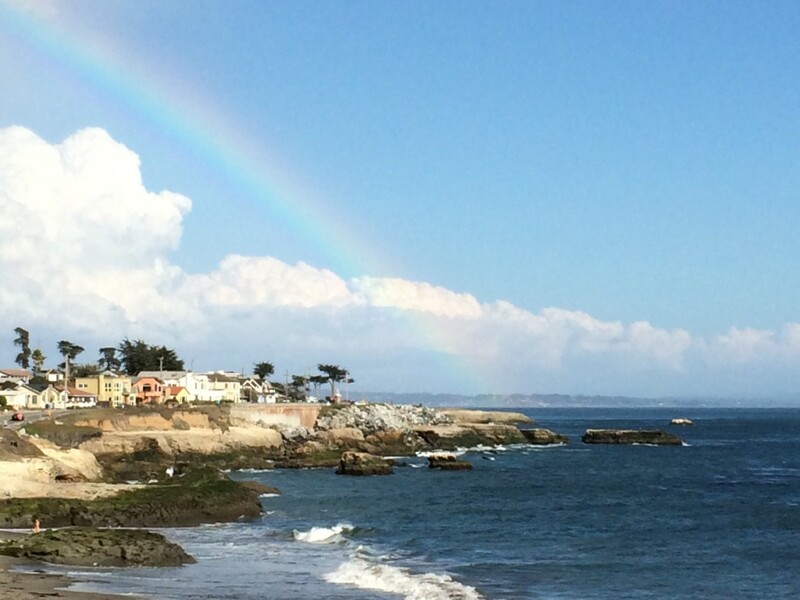 And two days earlier I had to scoot out of my coworking space because I was having such a hard time holding myself together in the face of grief and feeling like my world was crumbling. 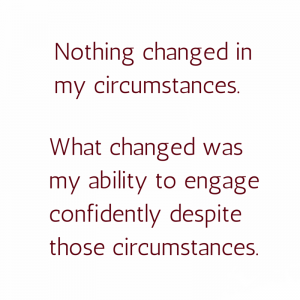 Nothing changed in my circumstances. 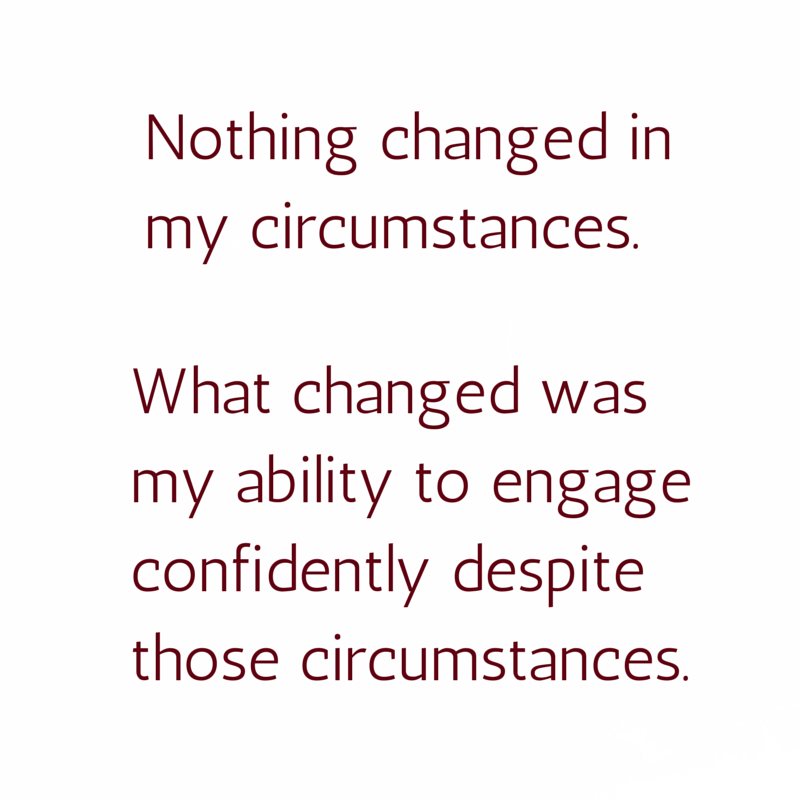 What changed was my ability to engage confidently despite those circumstances. 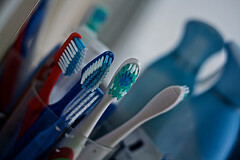 Day 3: It really is like brushing my teeth! Remember the cavity creeps? The big dark gray creatures in the old Crest ads chanting “We make holes in teeth.” To keep them at bay you had to brush everyday. By this day it felt as if the daily bombardment of my system with reminders of my resourcefulness were preventing the plaque of the my habitual less resourceful thoughts from sticking. When I left that appointment I really had no idea what to do with myself. All my usual places felt so stifling. I went for a run. Wow, I was On that run! Strong, fast, my spine felt like a flaring nostril of a powerful animal. I started the day with a trip to the gym, a delicious and nutritious breakfast, a client call, my NSA appointment, sealed the deal with a new great client for more money than the one that went away before, served on a panel for women in business. Usually I feel completely wiped out on Friday. Not this week.